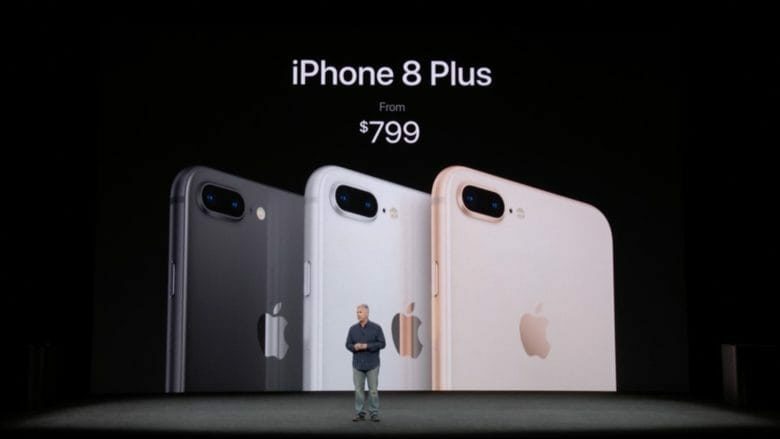 The iPhone 8 and 8 Plus bring good, but nonessential, updates. The iPhone 8 was always going to be stuck in a tough spot: It’s a marginal upgrade that lands the same year that Apple introduced the iPhone X, the biggest refresh since 2014’s iPhone 6. Now that review embargoes have lifted, Apple’s favorite tech journalists are busting out their iPhone 8 reviews. Are the iPhone 8 or 8 Plus worth shelling out for? Check out our iPhone 8 review roundup below. With the exception of the glass back, the iPhone 8 and 8 Plus looks same as its iPhone 6, iPhone 6s, and iPhone 7 predecessors. That means that your appreciation of it is going to be based on how much you liked the previous handsets. There’s still no headphone jack which, while not causing the massive furore it did last year, is commented on by several reviewers. Apple says the speakers for the new iPhone 8 are 25 percent louder than their predecessor. This is something seemingly confirmed by the reviews, which note that users are likely to notice a major improvement in sound quality — with louder, more powerful speakers than the ones in the iPhone 7. Depending on the quality of your hearing, you may even be able to pick up on the noticeable audio separation of the twin speakers. The addition of True Tone, the white balance compensating system that gets the display to look different under different lights, is also considered to be a worthy upgrade. Meanwhile, The Verge says that it’s a neat concept, although one that’s still not fully realized. In particular, they say that it’s not as impressive as Portrait mode was when it debuted on the iPhone 7 Plus. Studio Lighting might not be quite there yet, but the iPhone 8’s camera is certainly a worthy justification for releasing the phone. TechCrunch‘s review is based around the camera, which it describes as “killer” and reason enough to buy the iPhone 8. The high dynamic range (HDR) shooting is also singled out as great by multiple reviewers. Other reviews are slightly nicer, pointing out that the iPhone 8 and iPhone 8 Plus are still great phones in their own right. However, for most people, it seems that this may be one iPhone you don’t need to rush out and buy — unless the iPhone X is truly too pricey and you absolutely need the latest camera.